Standing as a white cube within the white cube of the gallery, Terence Koh’s Medusa has the outward appearance of polished respectability. Through the door of his structure, however, it is revealed as a WC of iniquity, a literal closeting of desire. 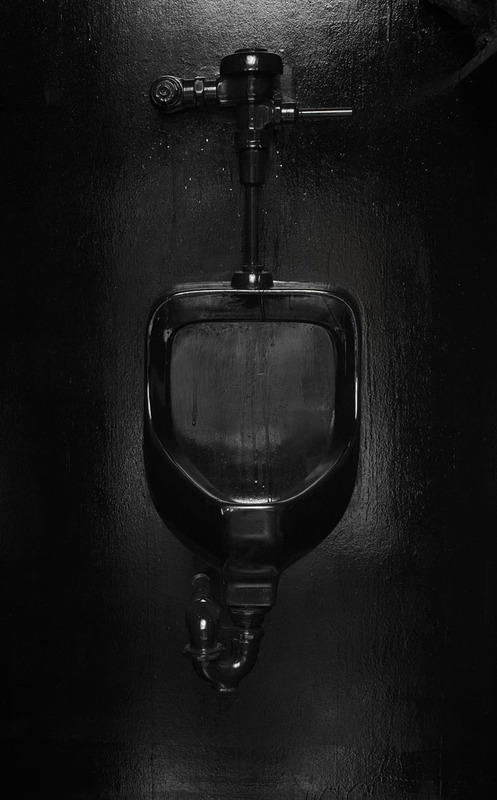 Decked out in dirty black, with rows of phallus-laden religious icons, and satanic plumbing fixtures, Koh’s toilet stall is both urinal and confessional, a smutty cupboard where seduction and transcendence are gleefully indulged.